Join us for this exciting event! 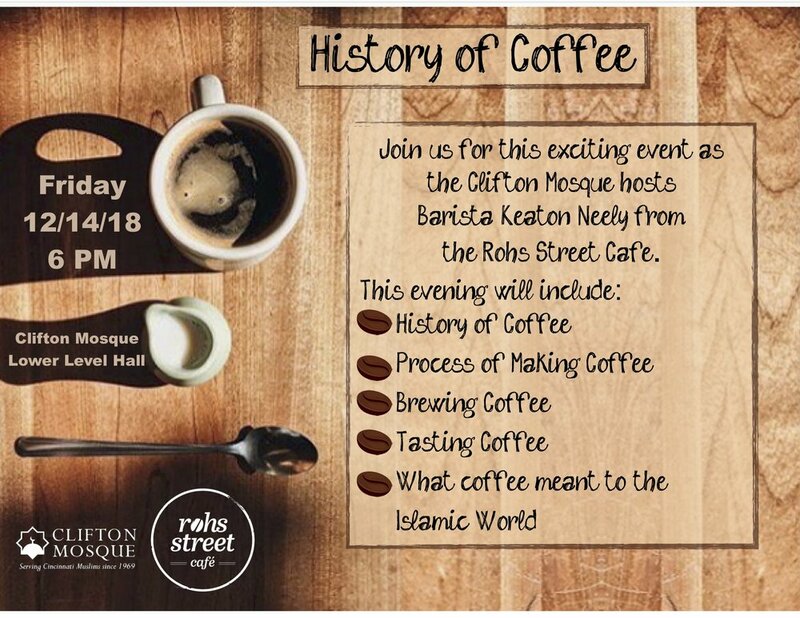 The Clifton Mosque is hosting Keaton Neely from the Roh’s Street Cafe, who will teach us about the history of coffee, the process of making coffee, brewing and tasting different coffees. This is a coffee lovers dream event! Friday, December 14th at 6 PM in the Lower Level Hall at the Clifton Mosque.